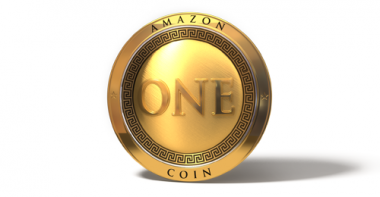 Amazon today unveiled Amazon Coins, a new virtual currency that will be used for purchasing apps, games and in-app items on Kindle Fire in the U.S. The virtual currency sounds a lot like the defunct Facebook Credits. Facebook originally launched Credits in 2011, but 18 months later it began moving developers away from the program and allowing them to accept the local currency in each country. So, can Amazon be successful where Facebook failed? First, we should look at the theory behind Facebook Credits. It seemed logical: Customers would have the financial relationship with Facebook, rather than trusting some company they’d never heard of with their credit card information. Additionally, they could store their tokens in one central piggy bank and then use them wherever they’d like, rather than buying currency in a game that they may only want to play once. But that experience didn’t exactly pan out. Instead, developers required users to convert Facebook Credits to yet another form of virtual currency inside each game, like FarmVille cash. In doing so, developers hoped players would became more committed to the game, at least until the initial batch of coins ran out. The in-game currency also made it hard for players to know how much they were spending (for instance, it’s typically easier to spend 5,000 FarmVille bucks when you don’t know their true value, but it was more difficult to spend 10 Facebook Credits when you knew it cost $1 to get them). Now, if you look at how Amazon has set up its currency, it’s easy to see how it could face similar problems. Each Amazon coin will be worth one cent, so a game that costs $2.99 will cost 299 coins. Likewise, a $5 in-app purchase would cost 500 coins. It may be easy math for the players to do, but Amazon confirmed that it will also allow developers to use their own in-game currencies, just like Facebook. That means that developers will be able to hide the real cost of virtual goods inside a game with more complicated exchange rates, if they wish. Amazon also confirmed that developers will continue to earn their standard 70 percent revenue share with Amazon Coins. In those ways, the programs are identical. The major difference between Amazon and Facebook, however, is that Amazon already has credit cards on file for each customer, whereas none of Facebook’s users had provided payment information when they registered. So, in that respect, Amazon’s motivation for rolling out a virtual currency should be different. One benefit for introducing Coins will be that parents will be able to easily dictate spending limits inside games for their children. After all, the coins will be valid only inside the Appstore. Customers will not be able to use them anywhere else, like for purchasing an e-book or a movie. The different silos for the different payment information may be exactly what Amazon is looking for, but for Facebook it ultimately became a problem. As Facebook started to expand its product offerings beyond virtual goods to real products, like Gifts, no vendor was going to be willing to accept the 70 percent revenue share first rolled out to game developers. At the same time, having a complicated two-tier or multi-tier revenue share process, depending on the item sold, may have been complicated. True currency ended up being an easier way to conduct transactions for all parties. Amazon Coins will launch in the U.S. this May. To help spur adoption of the program, Amazon pledges to give customers “tens of millions of dollars’ worth of free Amazon Coins” to spend on developers’ apps on Kindle Fire in the Amazon Appstore.